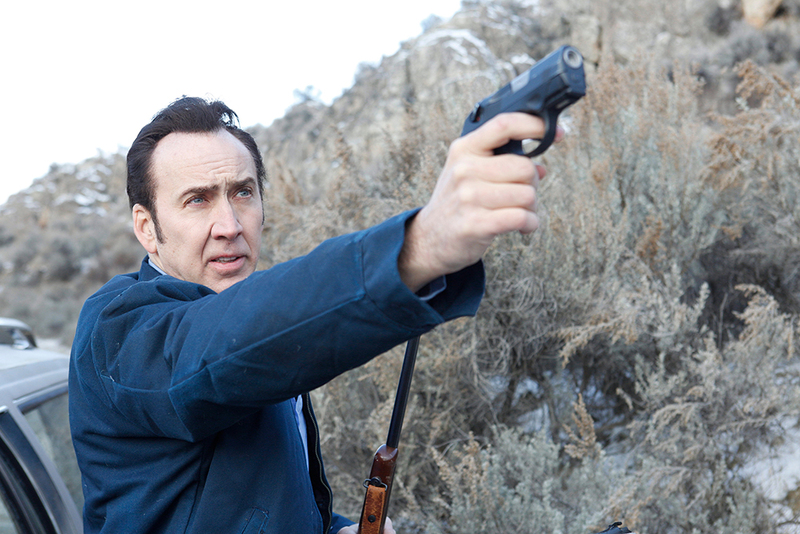 With a two very successful and high profile festival premieres come and gone you can bet that everyone with a Nicolas Cage project under their umbrella wants the world to know about them. What is interesting about The Humanity Bureau from filmmaker Rob W King is what the production is doing before the theatrical release on April 6th. On March 2nd they will release and episodic Virtual Reality series called The Humanity Bureau VRevolution. This, is the first time you can get your Nicolas Cage fix in VR. Read more about it in the press release below. 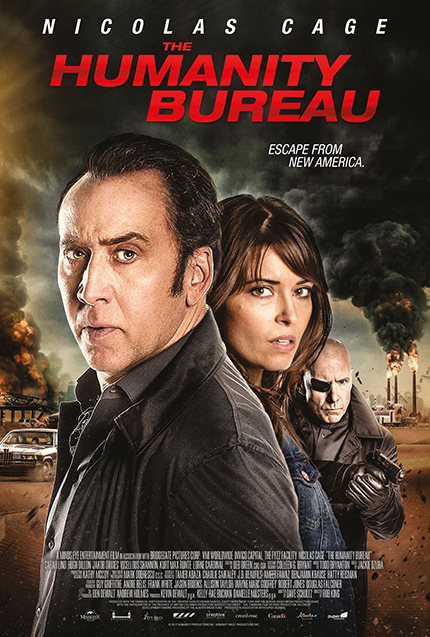 The Sci-Fi Action Thriller, The Humanity Bureau, produced by Canada’s Minds Eye Entertainment starring Nicolas Cage, is set to release in standard theatrical theaters, Barco Escape format theaters and Premium Video On Demand (PVOD) on April 6, 2018. The film’s debut will be complemented by the release of a standalone episodic Virtual Reality (VR) series titled “The Humanity Bureau VRevolution,” which will be available for download across all VR platforms on March 2, 2018. 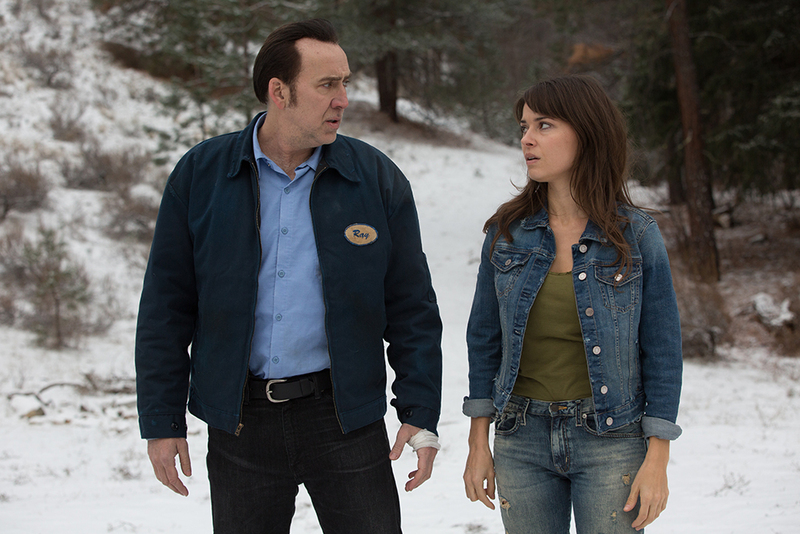 Cage plays an ambitious and impartial caseworker who sets out to save the lives of Rachel Weller (Sarah Lind) and her child Lucas (Jakob Davies), while exposing the truth about the bureau's secrets. Hugh Dillon also stars as a villainous Humanity Bureau Officer. With an impressive Canadian production team onboard this film that includes writer, director, editor, composer and talent, The Humanity Bureau VRevolution is based on the feature film written by Dave Schultz and Travis Cloyd. Directed by Rob W. King and Josh Courtney, it is a scripted narrative VR experience produced by Cloyd, Courtney and Rob Bryanton. This experience takes the user through alternative storylines that co-exist with the feature film, but can be viewed as standalone episodes. The VR experience will be released one month ahead of the film’s theatrical debut.